SCC provides its members a voice of experience and influence to talk to the local Government. Should the need arise, SCC can step in and represent its members to address all government administration-related issues. SCS has established reliable connections to maintain high trust and visibility for SCC Members among China’s local administrative and governmental institutions. In Shanghai Xinzhuang Industrial Park, this relationship is formalized with two senior officials of SHXIP (Shanghai Xinzhuang Industry Park) participating as board members of SCC and SHXIP’s minority investment in SCC. In Shanghai Pilot Free Trade Zone, this relationship is formalized through International Machine Tools Center with the management of Waigaoqiao Group and the China (Shanghai) Pilot Free Trade Zone Committee. 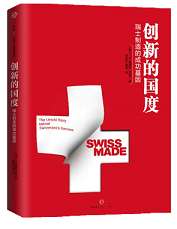 What’s more, the SCC network with other Swiss associations, multinational companies and the Swiss Consulate General provides additional channels for solving government-related problems. Such support is particularly needed by companies starting small. Considering the very dense bureaucracy and frequent update of regulations, efforts that are needed to keep an updated knowledge of the administrative requirements and maintain own Government relations are considerable and only affordable for large investments. Additionally, SCC Members are entitled to use the SCC logo and image, providing them with natural governmental respect from Chinese authorities.